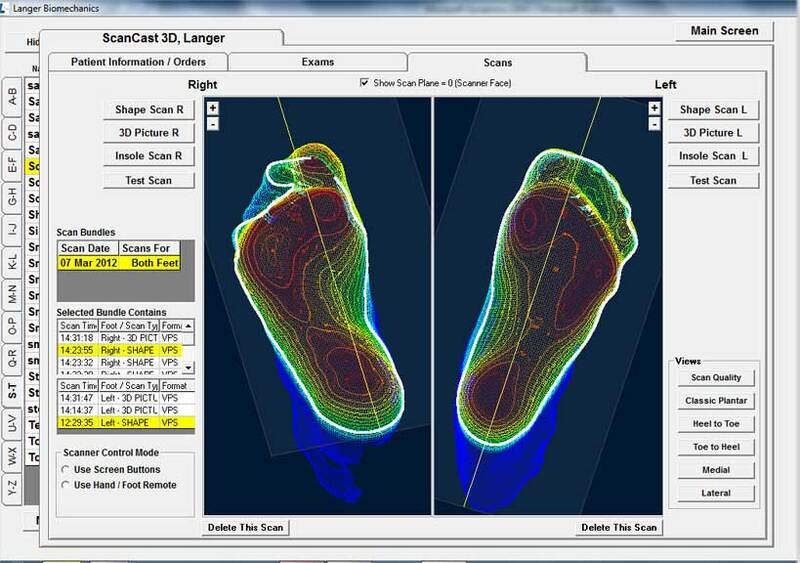 In 3.7 seconds, Langer's ScanCast 3D can take a 3D scan of your patient's foot that is fully rotatable! 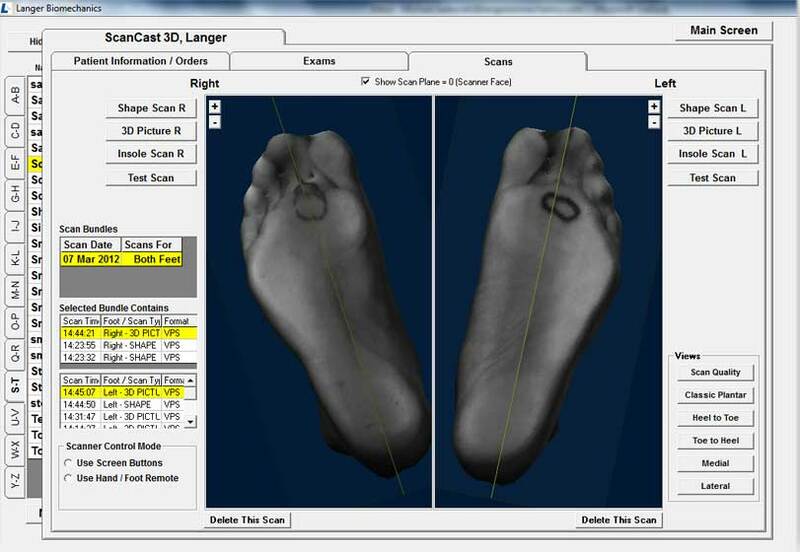 With our scan check system, be assured that the scans you are taking are accurate. 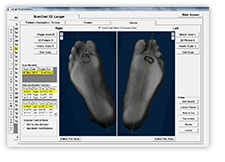 With Langer's unique 3D picture Scan, you can easily mark your patient's foot to identify a lesion or ulcer, just as if you were using a traditional cast! You can also place a pad in the exact spot that you want it, and your devices will be made accordingly. Provide our expert staff with your biomechanical exam notes to ensure that your patient is getting the best care! 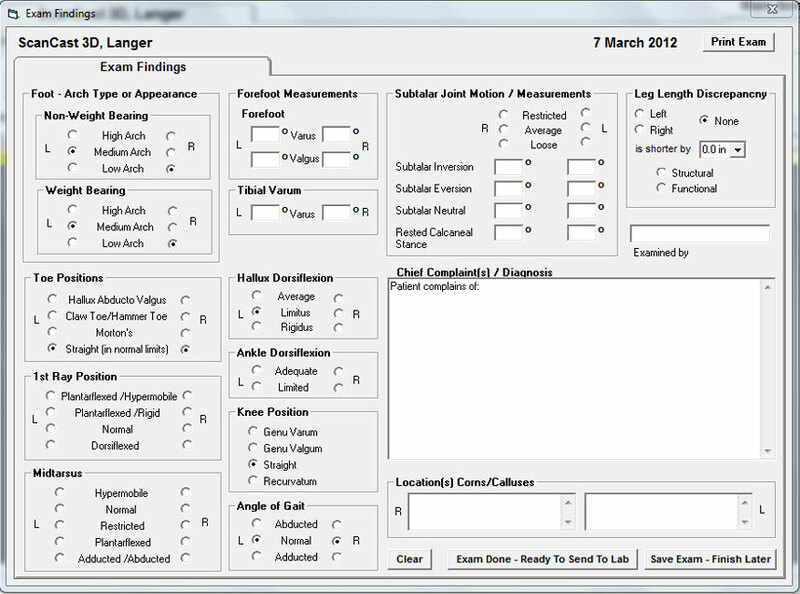 By completing our optional exam form, Langer's P.A.R Team will act as another set of eyes when evaluating your scans. 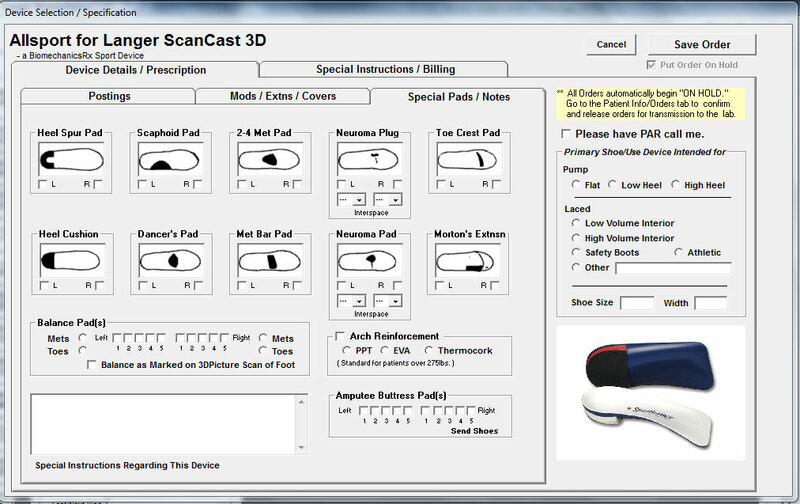 Your orders are easy to complete with ScanCast 3D! 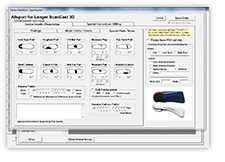 Complete your Orthotic order form with ease. From shell type to additions and modifications, you can complete and transmit your completed order in under 30 seconds.